Some babies come through teething without a lot of fuss, and others experience longer periods of discomfort and the crankiness that goes along with it. Fortunately, there is a tried and true natural way to help soothe those sore gums. By tried and true, I mean tried by thousands of parents and babies over many generations with great success. It’s a simple frozen washcloth! The cold temperature is numbing, and the spongy texture offers drool appeal. 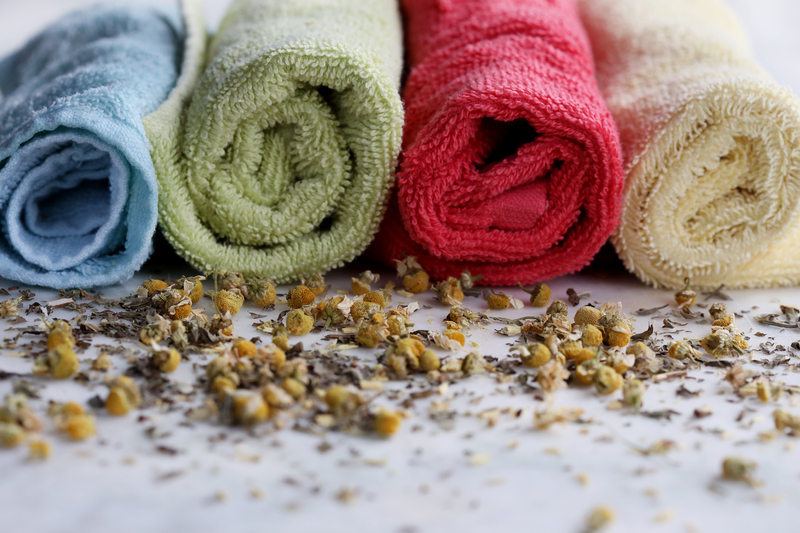 You can use plain water, but soaking the washcloth in an herb-filled tea can give your baby even more relief. 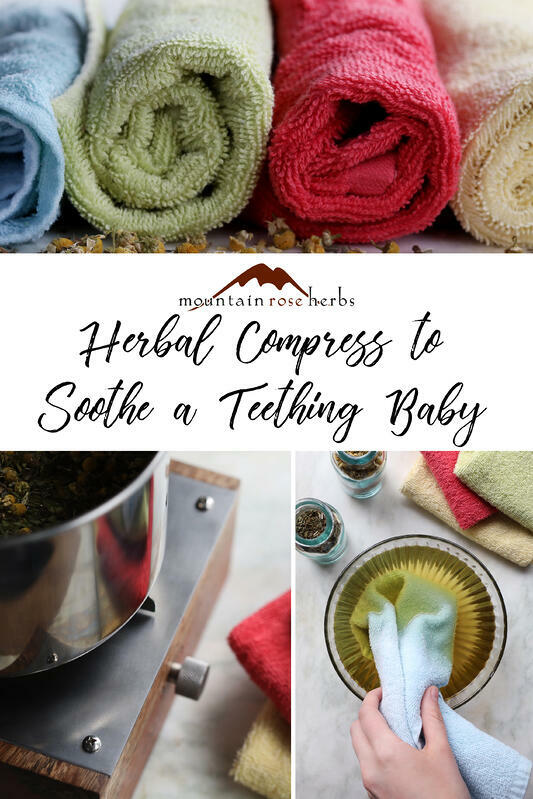 Happily, Juliet Blankespoor of the Chestnut School of Herbal Medicine was kind enough to share her excellent recipe for a Frozen Herbal Teething Compress! 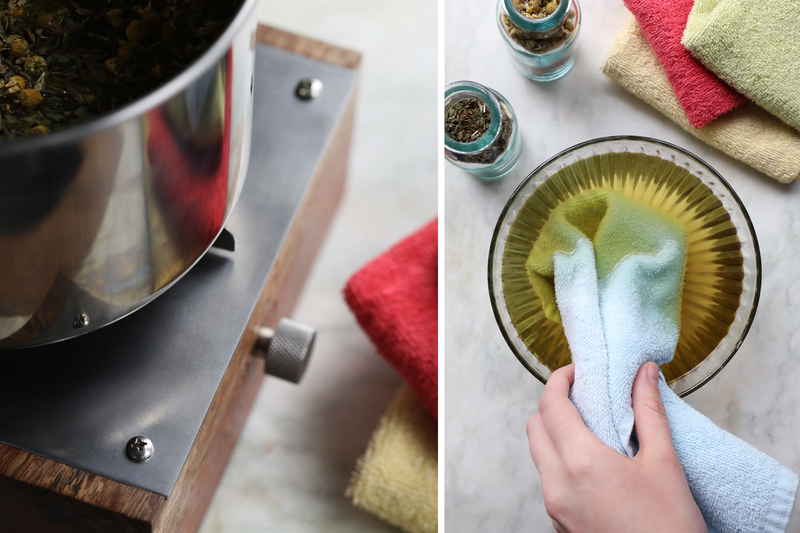 Makes enough tea to soak 3 clean, cotton washcloths. Bring one quart of water to a boil in a small stainless steel pot. Turn off heat, add all herbs, and cover with lid. 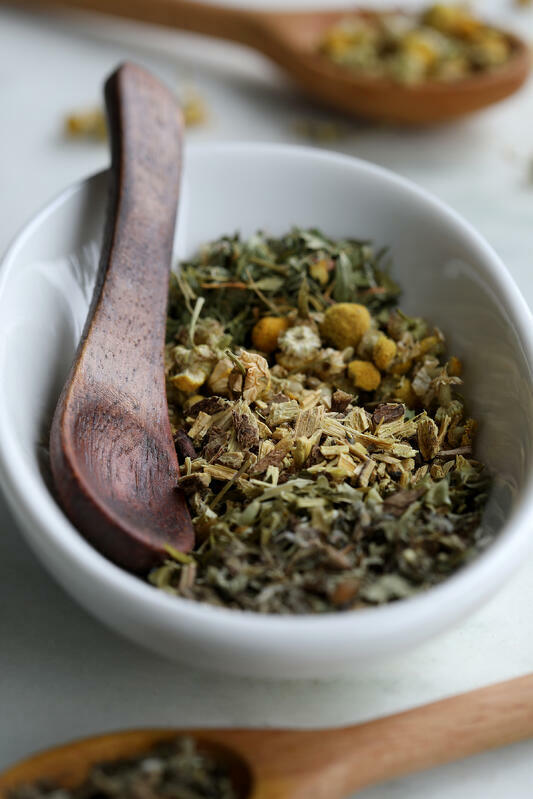 Let herbs infuse, covered, for 20 minutes. Strain into small bowl. Let tea sit until it reaches room temperature. 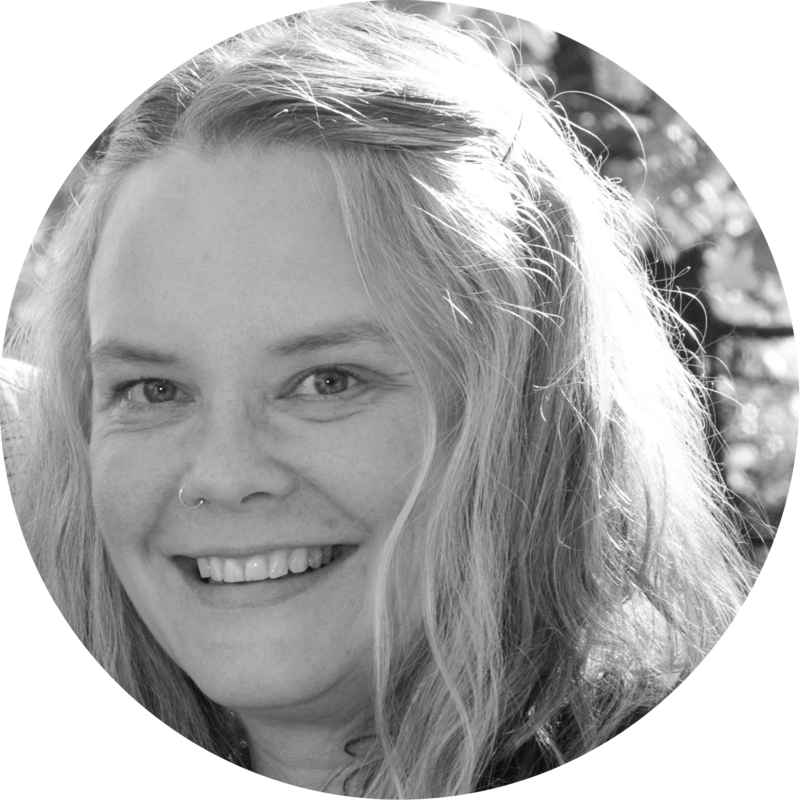 Holding out one end of washcloth, immerse about three-quarters of cloth in tea, making sure to keep enough of one end dry for baby to grip. Wring excess tea back into bowl. Fold soaked washcloths into quarters, place individually into separate zip-top freezer bags, and freeze. When ready to use, thaw washcloth until pliable but still very cold, place dry end of cloth into baby’s grip, and let baby happily chew cold end. A standard, adult-size washcloth can be unwieldy for a young baby. Consider purchasing baby-size washcloths specifically to make teething compresses. You can also cut down larger washcloths, or purchase cotton terry toweling by the yard, but be sure to zigzag the edges, or turn under and stitch so they don’t unravel and leave strings that could come off in baby’s mouth. If baby doesn’t like the herbal flavor, add a touch of organic grape juice to the tea to sweeten before soaking. Looking for More Baby-Friendly Goods? Check Out Our Ready-Made Natural Baby Line for Your Little One!